After reading about Craft for years, I’ve always thought about eating here but hating the fact that they don’t serve lunch, except at its sister branch Craftbar. That’s until I read from the NY Times’ blog, The Diner’s Journal that Craft started to serve lunch again. Upon entering this restaurant, I was a bit surprised how the its interiors look: pared down, rustic, exposed wooden beams and floors, even the incandescent light bulbs that hang down from the ceiling. It kind of suggest its reference to strong, simple, pure, and straight-forward flavors to the food. After perusing their menu for a couple of minutes, with a good amount of attention from two different waitresses (possibly because of my camera or the fact that it’s just three other tables in their section? ), I’ve finally ordered. The somewhat different or noticeable thing to note is the way they serve their bread. 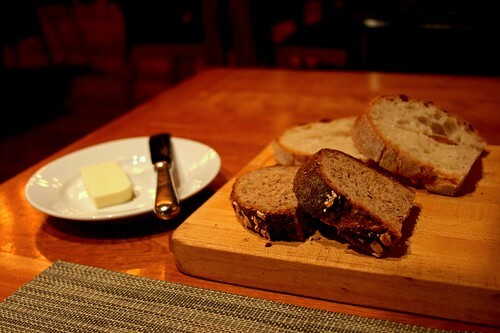 It’s actually brought in a bread board (of two types: sourdough and whole grain) with your butter. Quite rustic yet unusual from my many experiences of eating out. As for my appetizer, I ordered the sweetbreads with wilted arugula. I know, the previous post I’ve ordered sweetbreads that I’m actually clogging my arteries with extra fat that I’m really shortening my life span by a couple of years. Anyways, these sweetbreads were served in individual cast iron pan which kind of evokes the rusticity of something close to the farm or home. Quite endearing. 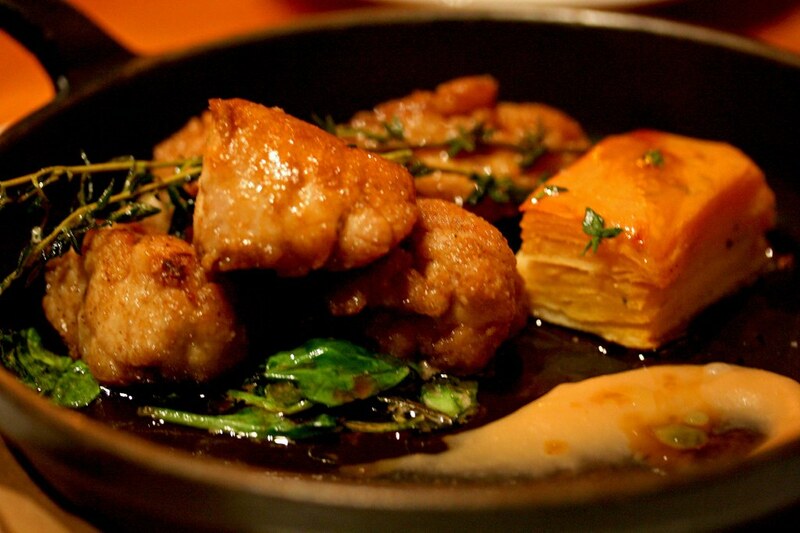 The sweetbreads are seared that it has a salty, thin, crisp crust with the meaty innards. I can’t really explain what sweetbreads taste like except it tastes like meat even though it’s a gland. You just have to try it once and I assure you’ll become addicted to it. The wilted arugula didn’t really do much for this dish except maybe justify I’m eating something bad and have a little bit of greens, despite the fact it’s coated in the lovely fat from the sweetbreads. The other accouterments that accompanied the sweetbreads are quince cake and a quince puree, which was a good contrast to sort of cut through the fattiness of the sweetbreads from the quince’s tartness yet accompany it by it’s sweetness and soft texture. As I was eating my sweetbreads, an older woman who sat at the adjacent table offered me her bottle of sparkling water since she’s eating by herself, that she told me that she can’t finish it by herself and willing to share it with me. Initially it struck me as odd since that never happened to me before but I didn’t mind having some free bubbly water that would’ve cost me at around $5 if I bought the whole thing (she covered the cost, which I thanked her for doing so). 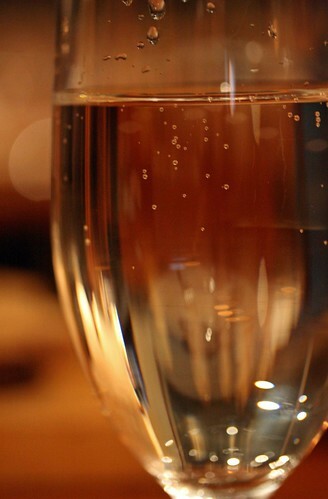 After finishing my appetizer and sipping the carbonated water, I observed the dining room a bit as more diners arrived. About half of the diners were here on a business lunch, while the remainder are people who are eating with friends. 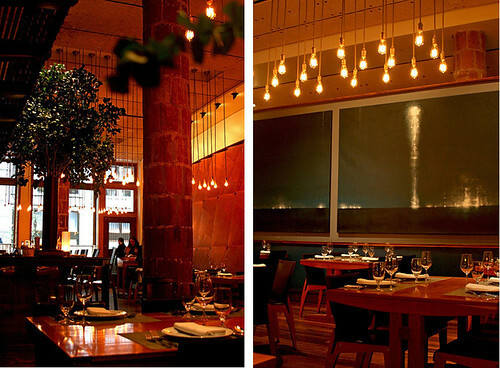 It’s more of a relaxed, refined yet rustic restaurant. There’s no haughtiness. No pretense. It’s just you, the food, and good service. Then the remainder of my food arrived, the side dish of roasted brussels sprouts and my half portion of pumpkin ravioli. 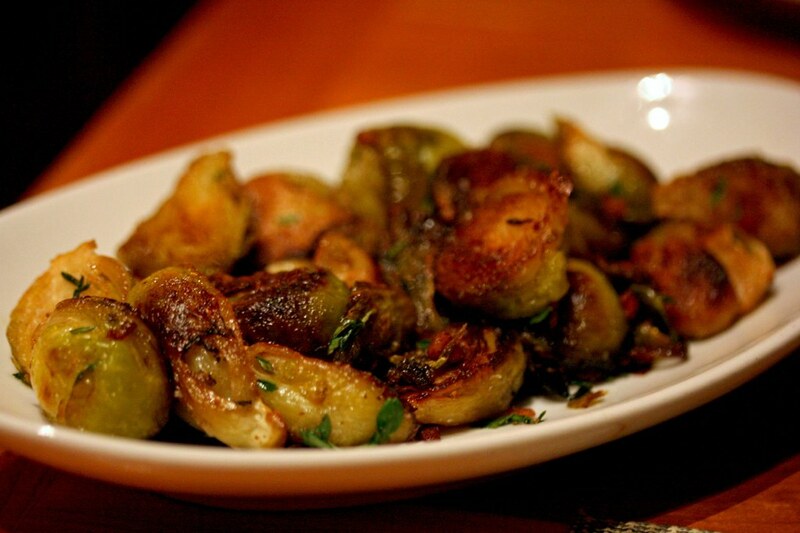 The brussels sprouts was recommended by my waitress when I inquired what is the recommended vegetable, since I feel like I should eat some roughage from the generally bad food I’m eating, she said the brussels sprouts are the best. And it’s served with bacon. After eating one of these babies, they were delicious. It’s slightly crisp from the lovely caramelization and tossed with the rendered bacon fat and crisp bits, how can this dish go wrong? I’ve ate every last morsel on that plate. The explanation of me having only a half portion of the pumpkin ravioli was because I wasn’t exactly starving when I came here. Heeding that warning to my waitress, she actually told me to go for the half portion since the raviolis are quite heavy, and take it from there if I’m still hungry. Would these three large, round dough filled with pumpkin puree sit before me should make feel full? I was skeptical at first but after eating them, it does actually does the job. 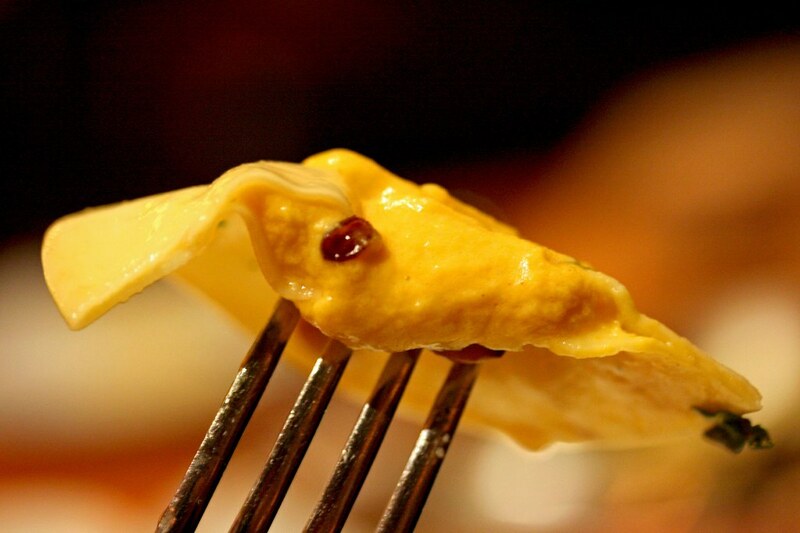 The ravioli shell were cooked to al dente, stuffed with savory-sweet pumpkin puree that gushes out when it’s cut in half, flavored with hints of rosemary. The hen of the wood mushrooms was very mild in flavor and it gives it some additional dimension of chewy texture. What makes this dish more appealing was the sweet brown butter sauce with the crunchy, toasted pumpkin seeds that topped it off, it melds everything together. If you had a little bit of everything in one bite, it’s quite divine and very seasonal. This was quite a wonderful lunch. I would come back again if I had the time and if I had the expenses to splurge on to try out the rest of the menu. I’ll see you this Sat, post-Momofuku! Dana: You’ve haven’t read my post?! I feel unloved! No, I’m kidding. I understand you’re busy. Kathy: I LOVE sweetbreads! Even though it’s not good for me. Uughh… I hope I do see you, hon. 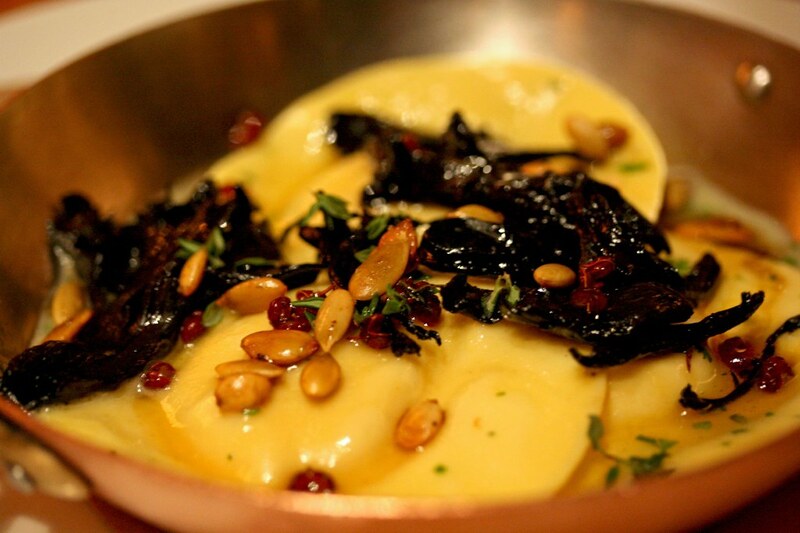 I think I’m in love with those pumpkin raviolis; they look perfect for a cold day without being overly gooey or brick like. 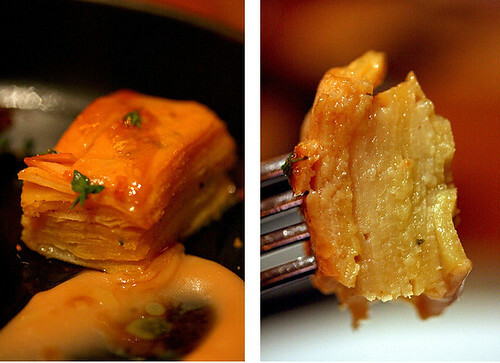 And that quince cake with the sweet breads…… it looks like, a tiny baklava! comparing yours and bruni’s post on craft (which I coincidentally enough read literally hours before you posted) I think pictures must be an integral part of food reviews, particularly restaurant reviews. 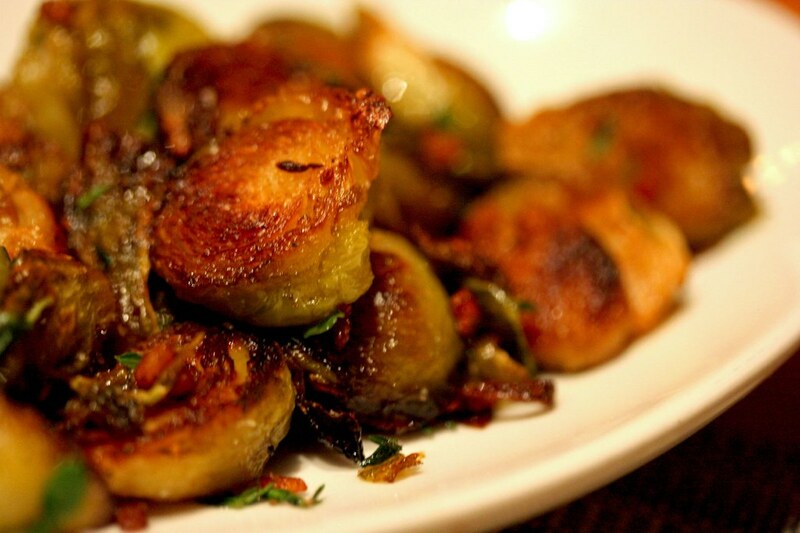 It’s impossible for words alone to do justice to a delicatedly crafted dish. It’s like trying to make someone get the feel of a painting without ever showing them the painting in question. this post makes me wish i have free time to eat lunch during the week. doh! Dana: Ya know, I’ve never thought of the quince cake as baklava. But now that you’ve mentioned it, it does kinda look like it. Danny: Aww…you will. Someday. I think? If your boss is willing to let you out for an hour, the restaurant will speed up if you request or indicate you’re in a hurry.